So, with the Springboks out of the running for Rugby World Champs, I am back in the country and although we are still competing for the 3rd place tonight, my focus is back on more wine-related topics. As part of last week’s London visit, I met with some delightful wine people at Mosimann’s restaurant for a wine pairing lunch. One of my guests was a lady whose opinion on food and wine matching is second to none, Fiona Beckett. I am therefore delighted that she has made one of our pairings on the day her match of the week. We tasted more than one wine with each of the courses. With me not being able to try the pairings with the chef beforehand, I thought it would be interesting to try a few options with each course and I always enjoy the different interpretations and opinions of guests in such situations. Fiona’s choice of the pairings was the Wild-poached Scottish langoustines with lemon and fresh herbs paired with the 2014 Pierneef Sauvignon Blanc. 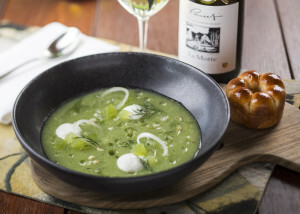 The other wine served with this meal was the 2014 La Motte Chardonnay and although this elegant classic-Franschhoek style Chardonnay is exceptional with seafood, it was the Sauvignon Blanc made from cool-climate grapes grown in the recent classification of Origin: Cape South Coast that stole the show. 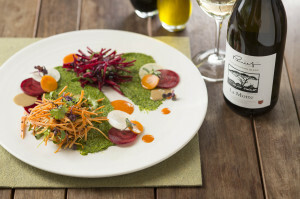 Other than with seafood, green salads and herb-infused sauces, the 2014 Pierneef Sauvignon Blanc is also a good suggestion for those often difficult pairings of Chinese and Thai food. The other cool climate wine that proved to be an exceptional match, was the 2013 Pierneef Syrah Viognier. 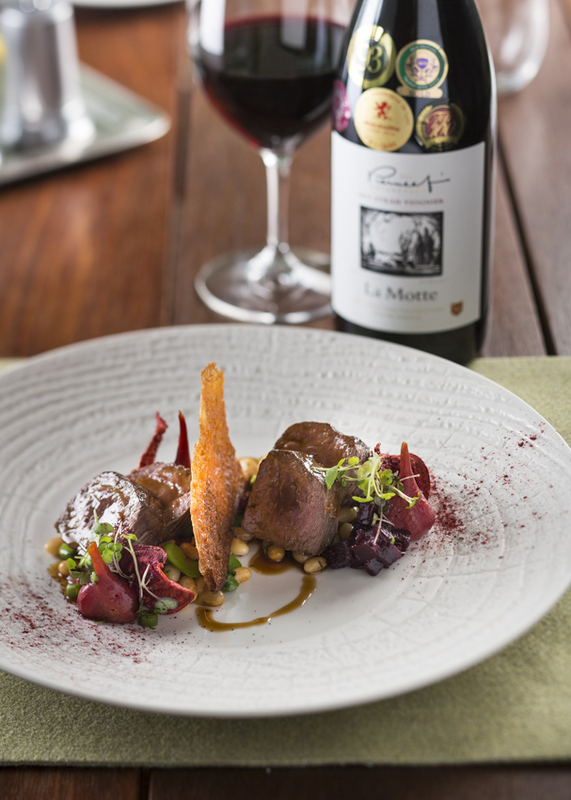 Although we matched the Roast loin of Highland venison with juniper berry sauce and market vegetables with three Shiraz-based wines, it was the concentrated tannins and distinct spiciness of the Rhône-style blend of 90% Shiraz from the coastal Walker Bay (65%) and Elim (35%) areas as well as 10% Viognier from Franschhoek, that was the ultimate match. And interestingly enough, more than being a partner to the meat, it was its ability to gracefully handle what Fiona calls the “normally wine-killing red cabbage” that impressed most. They say it is only once you realise how little you know, that you actually know anything. And although it is hardly a new topic, it is the influence of terroir – all those site-specific elements – that can make such a difference to the taste of wine, how it pairs with food and how it matures. With so many variables, wine is just the most interesting subject and I am definitely going to focus my attention more on site-specific influences – especially how we can embrace them within the diversity of the South African Winelands.